This jacket belongs to a friend. When I asked him for the “story” behind it, he gave me two versions to chose from. I was amused by the contrast and I think perhaps this says more about him than if I’d pressed him for any further background to the true story so I decided to use his first response and include both versions in this post. Interestingly I think it was J who was wearing it when it got caught as she was getting out of the car and the leather was torn. 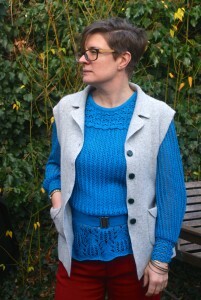 I’m a member of a Fb group called Mend it May, started by ethical blogger Jen Gale, encouraging us all to mend something during the month of May. 1. 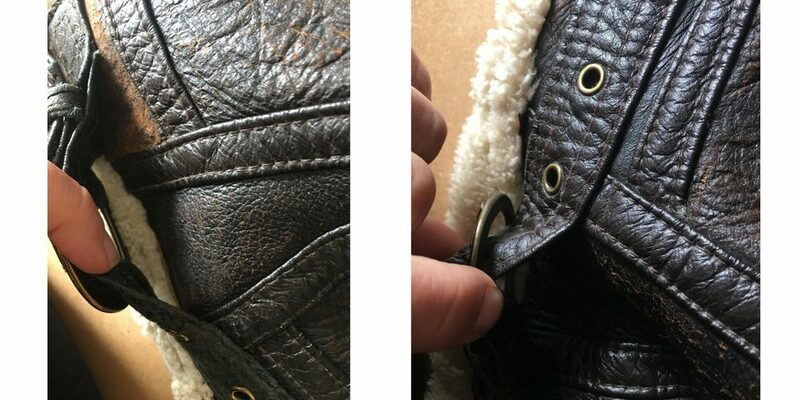 Removed the buckle and strap. 2. 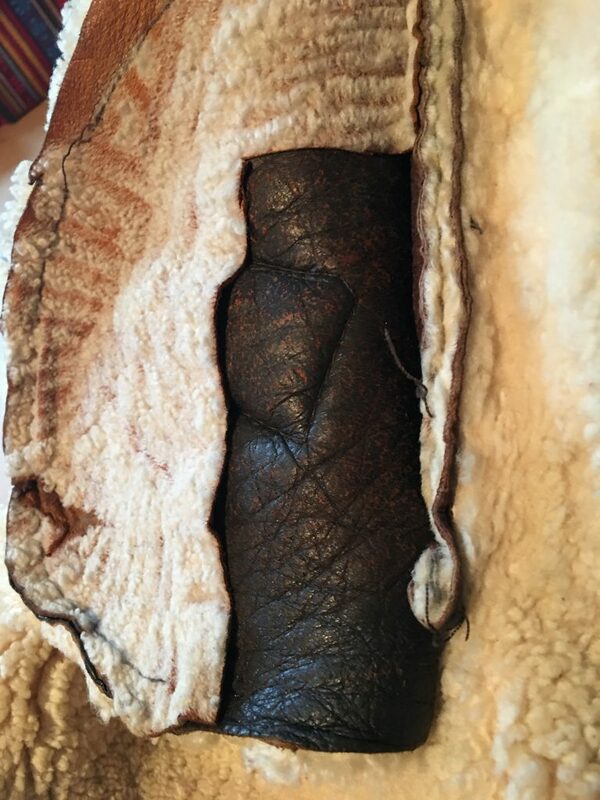 Trimmed the fur from the edges of the tear and loosely stitched them together to hold them temporarily in place so that I could patch over the tear. 3. 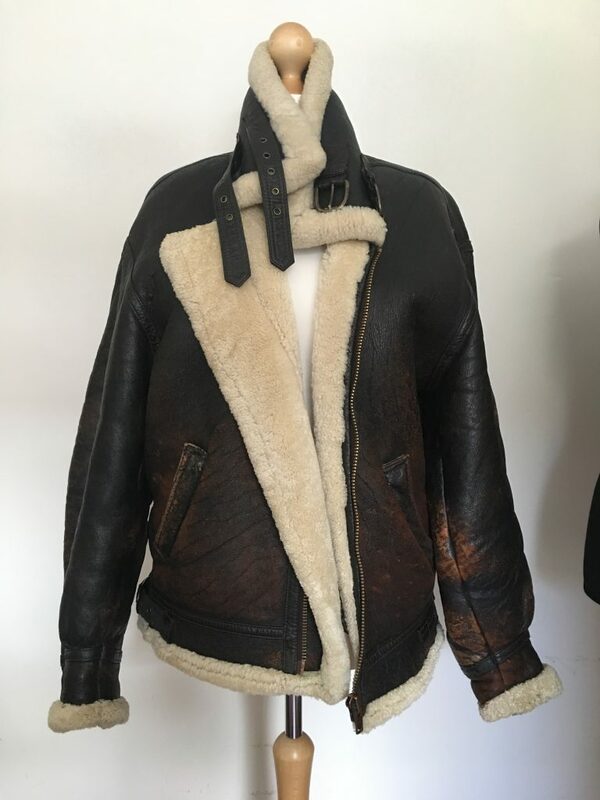 I searched the Charity Shops for a similar leather to take a patch from. I found a handbag that was a close match but nothing close enough to do a proper job. So I cut a section out of the inside pocket, where it wouldn’t be seen and used the bag to patch the pocket. 4. 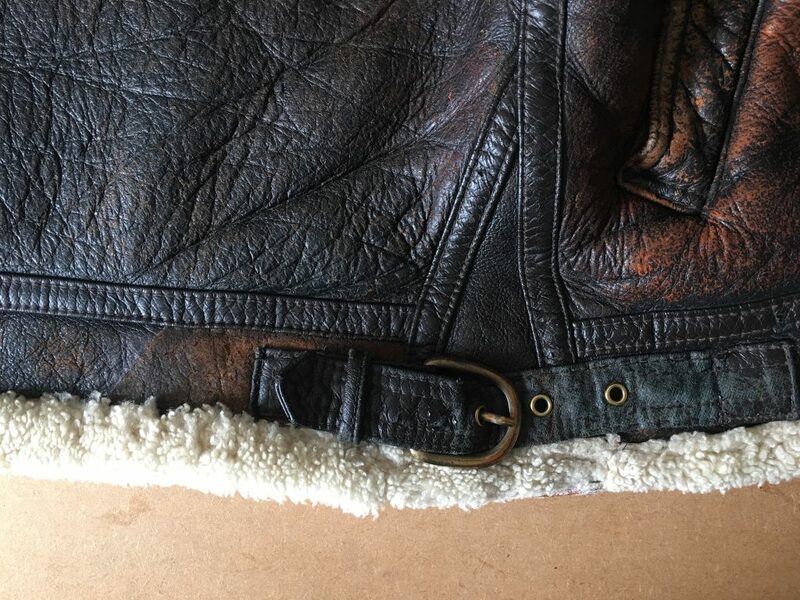 I used specialist leather glue to patch over the tear. 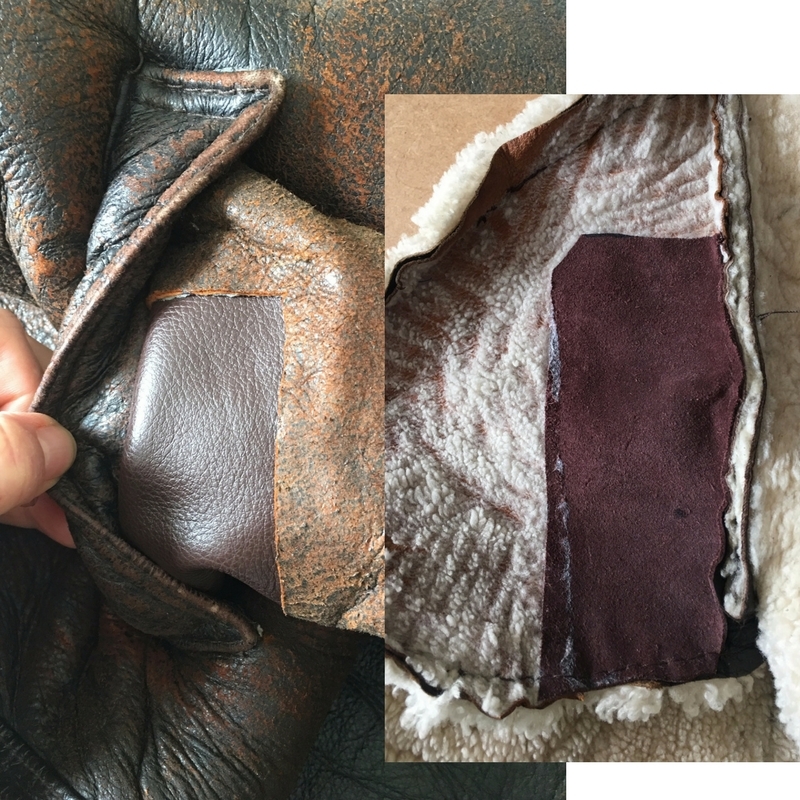 I cut it on an angle so it followed the lines on the jacket and as it was such soft leather I was able to work into the join a little to blend it in. 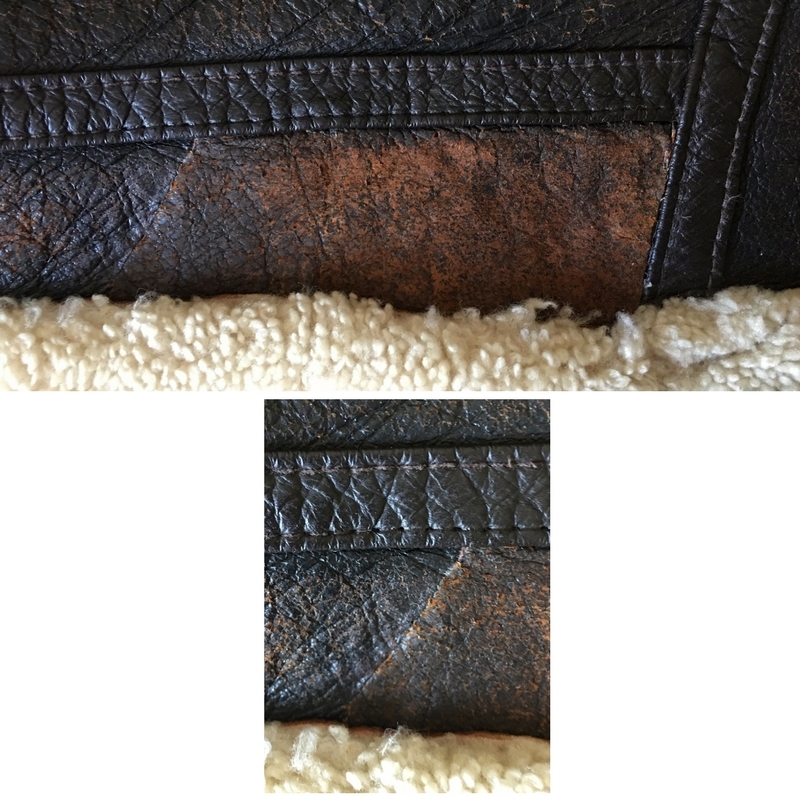 I took out the top stitching and tucked the patch underneath the edge of the cover strips. 5. 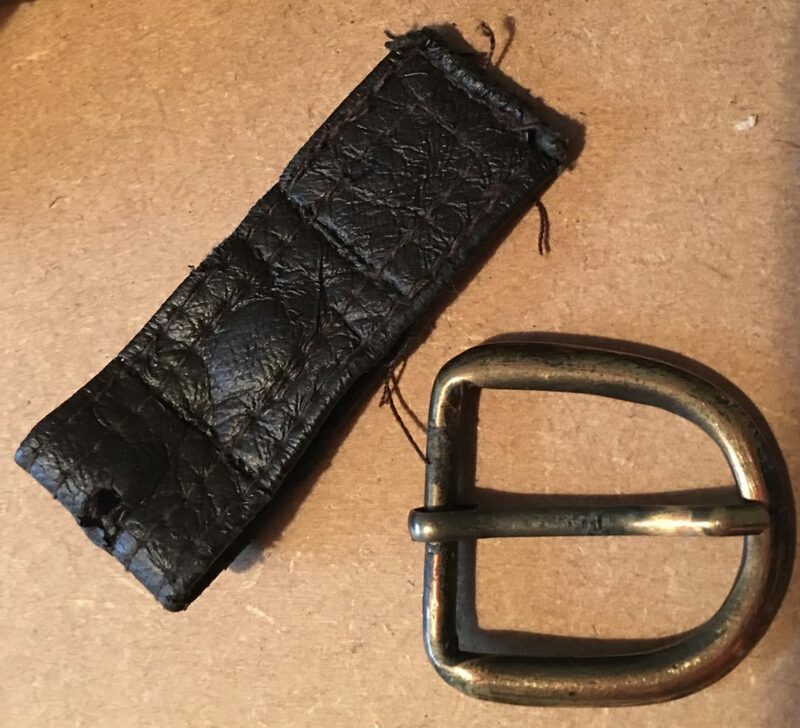 I restitched the buckle and strap in place and replaced the top stitch to secure the patch and finish as original. 6. I also stitched down the straps so there is less risk of them getting caught again. 7. 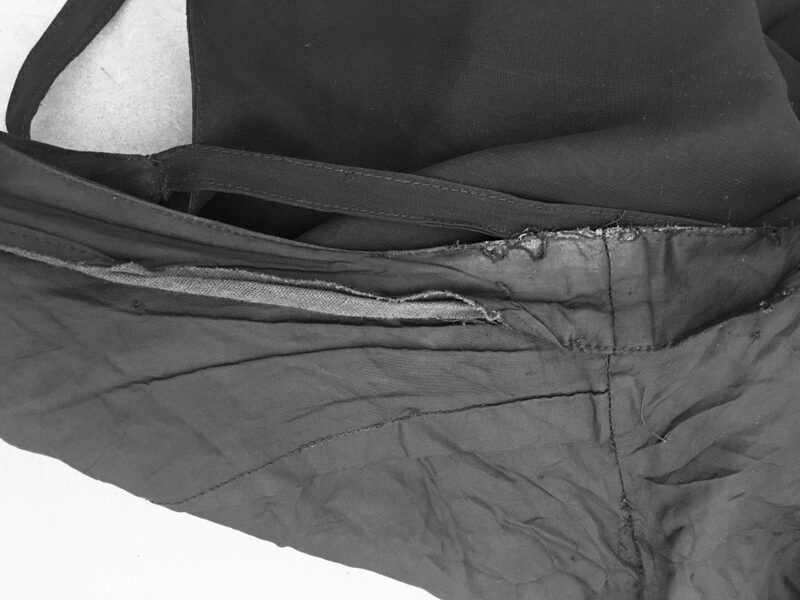 The final task was to repair the pocket with a patch from the handbag. I glued the straight edges and then stitched at the bottom and seam edge. 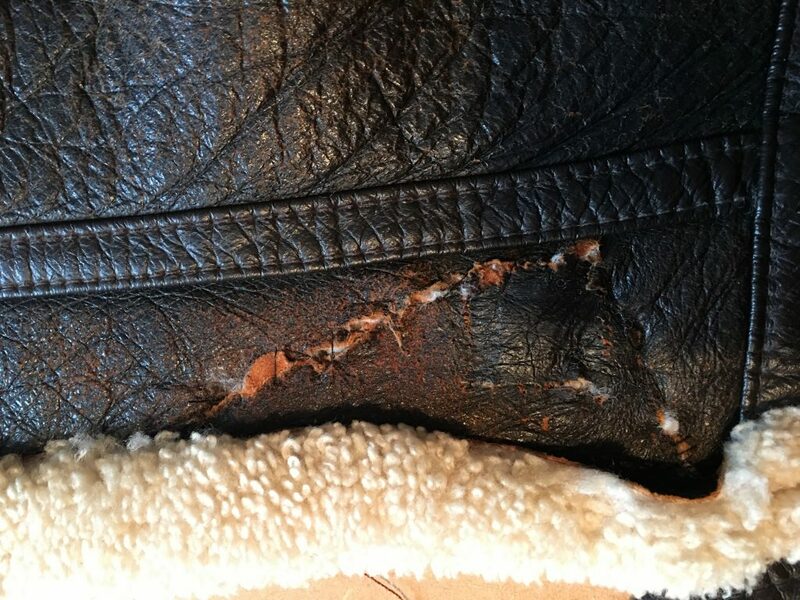 I really enjoyed this repair, I’d never worked with leather before and learnt a lot. This dress was given to me by a friend, Julia and had belonged to her Mum. It was lovely quality chiffon and the skirt flowed beautifully but it had been well worn and showed signs of age around the armholes. 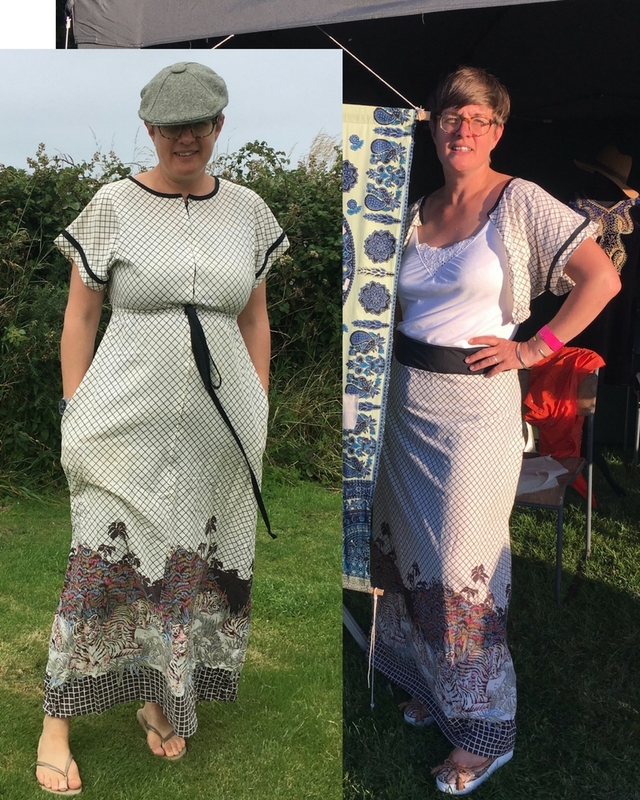 Julia was having a party to celebrate 6years of her pilates studio business and her Mum was attending so I wanted to upcycle it to wear at the event. The style is perfect for my shape, straight at the waist is more flattering. 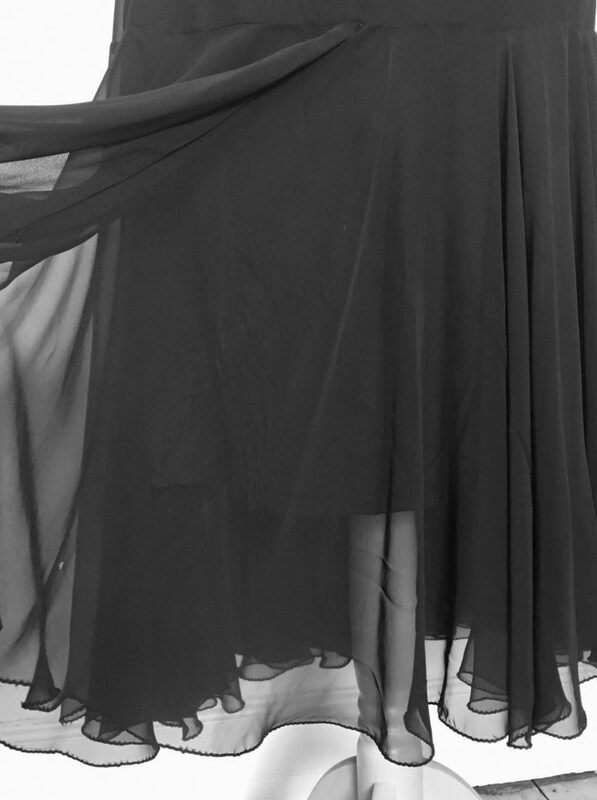 Then the dropped seam and fullness at the lower part of the skirt shows off the flowing chiffon. 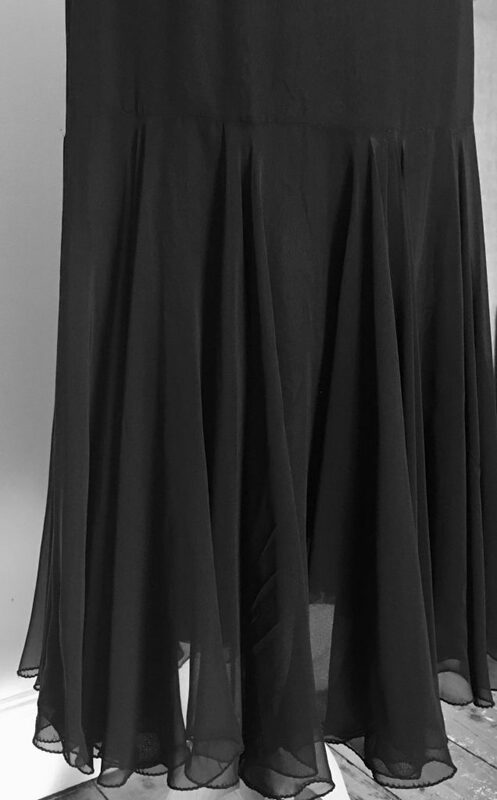 I thought I’d pick up a recent trend and make the underskirt shorter than the chiffon overlay. Upcycling tips: I find with a 2-layered skirt it’s easier to take them apart and alter each separately and then reattach. It’s fastened with an invisible plastic zip at the back which I removed, shortened and reinserted. As it was lined and made of a delicate fabric, I didn’t put a waistband on it. 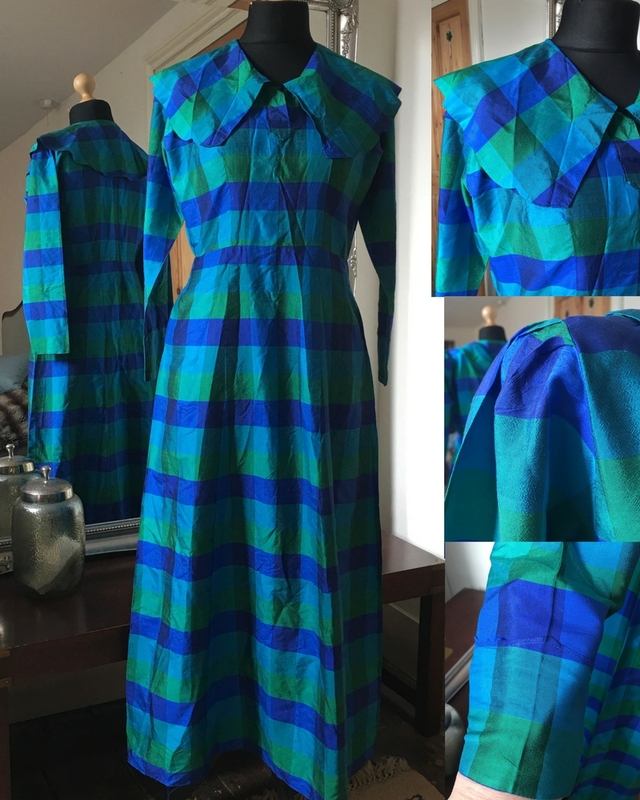 This is quite a straightforward upcycle, ideal for a dress that is dated or no longer suits. And another garment saved from landfill. I styled with some fishnet tights, a silver top and gold brogues (sorry no pics, will add next time I wear it). It was a joy to wear and always satisfying that I made it myself. Julia’s mum was chuffed that her old dress had been given another life. 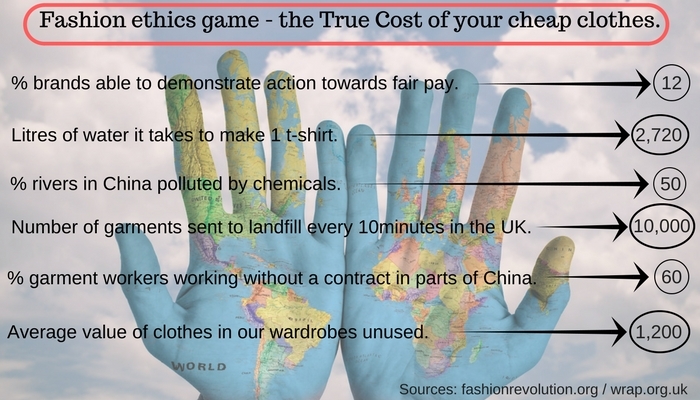 Last week for Fashion Revolution Week, I posted my Fashion ethics game so here are the numbers matched to the correct statements, the hidden costs of your £5.00 T-shirt or £10.00 pair of trousers! The harsh reality is that to keep prices this low for us, costs are being kept low somewhere else in the supply chain. People are being paid appallingly low wages without any employment protection, working long hours in unsafe factories with no proper facilities. Waste chemicals used in dyeing textiles are being dumped into rivers rather than being properly processed and natural resources are being drained to keep up with the demand of the Western market. And yet we all admit that we have clothes we don’t wear and we are still buying more. We ease our consciences by giving to charity but they are getting overwhelmed and landfill is growing by 350,000 tonnes every year! Just stop buying clothes. It’s simple, just stop. 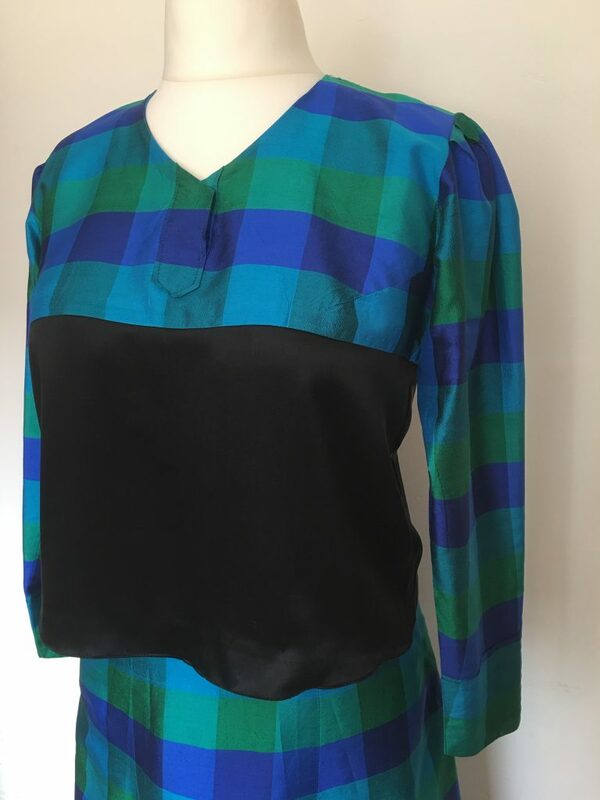 Then you might like to have a look at my post entitled My Ethical Guide to Fast Fashion to find out how to love fashion, dress well but do it clearer conscience. And remember, Fashion Revolution isn’t just for one week. You can join the revolution anytime, keep telling your favourite brands “I care about #whomademyclothes”. Who really wants to think otherwise? 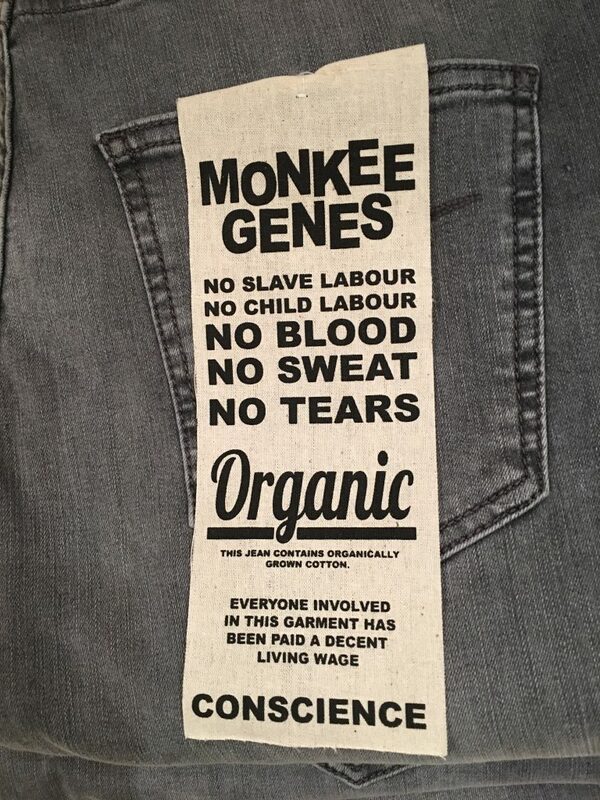 None of us really want to buy clothes that support unfair practices and damage the environment, but the marketing and PR industries have made such a good job of muddying the waters and the fashion supply chains are so long and complex that within busy lives it’s hard to know how to take a more ethical and sustainable approach to fashion. It’s about changing the way you buy clothes but also about how you look after them and how you dispose of the ones you don’t want. It does depend on budget, accessibility and time but there are lots of different ways to do it. Since I started this blog, I’ve developed my ethical guide to fast fashion. This is my own set of rules and the way I try to navigate the crazy fashion industry that I love and hate at the same time! I joined #ethicalhour on twitter on Monday evening (you can join any Monday at 8pm) with some amazingly committed people taking different approaches to ethical fashion and sharing some thoughts. 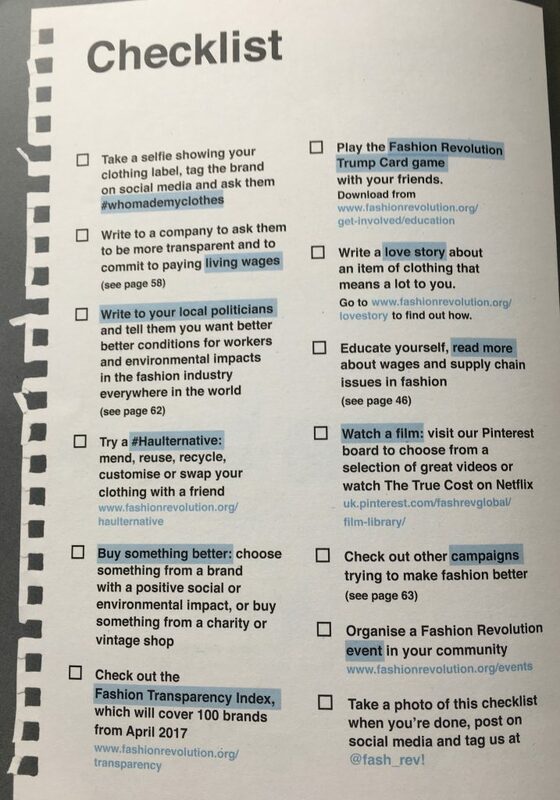 I picked up a few tips so I’ve updated my guide for Fashion Revolution week. In the Restyle section you’ll find a guide to restyling your own wardrobe, how empowering it can be to understand your body shape and what suits as well as a couple of restyles we did for friends. Invariably people think they have nothing to wear when we arrive but after an hour or two we leave them with at least 7 new outfits, all from their own wardrobe. I’ve also posted some brand research using a couple of industry guides. Fashion Revolution have recently updated their Transparency Index, now 100 brands are featured. And finally, if you fancy a go at upcycling, there’s also some examples on my blog and Facebook page. I will continue to post about all of these, I have a couple of wardrobe restyle posts to catch up on and need to have my Summer wardrobe sort. I’m also planning to do some research into more responsible ways to donate your clothes. 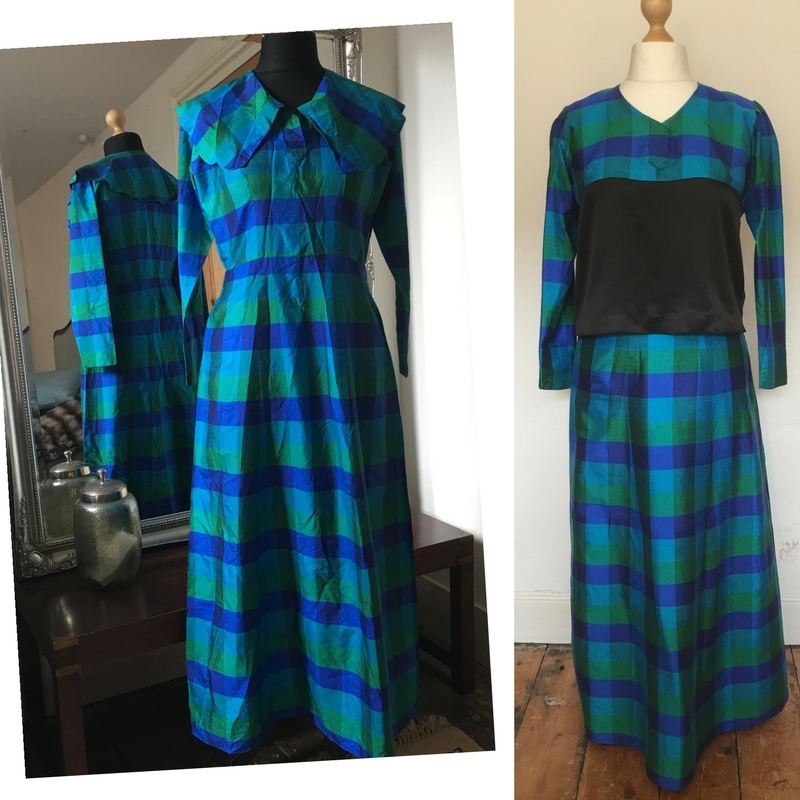 I read during #ethicalhour that only 10% of clothes donated to Charity makes it into the shop for resale. This seems very low and concerns me, I’d like to find out if this is true and look into some other ways to pass on unwanted clothes. Last night I went to a local clothes swapping event. This type of giving is so much better because it goes to people who actually want it. There are also specific charities such as the ones supporting people back to work who take certain types of clothes. 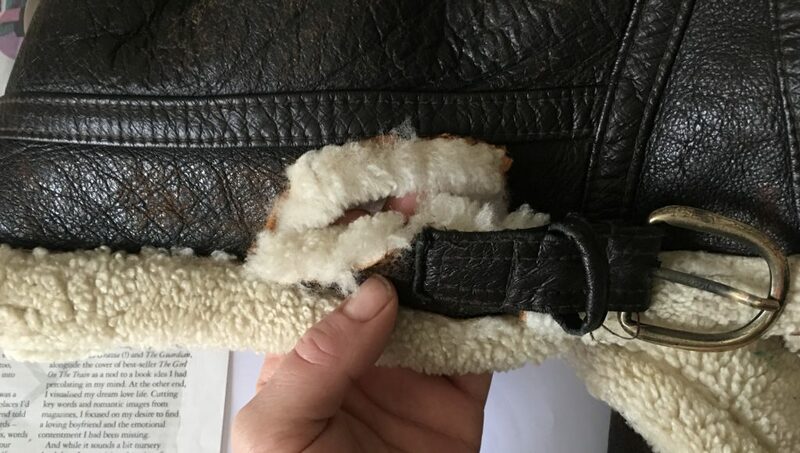 Ideally, of course, it’s better to think more carefully before you buy, buy quality to last longer and have things repaired so that you don’t need to give so much away. If you have less to donate, you can think more specifically about where it goes. On 24 April 2013, 5 factories collapsed at Rana Plaza in Bangladesh killing 1,134 people and injuring 2,500, who were all making clothes to be sold on the Western market. This disaster inspired Orsola de Castro and Carry Somers to form the organisation Fashion Revolution. FR campaigns for a fairer, cleaner, more transparent and more beautiful fashion industry. I met both of these ladies last year and they inspired me to set up the 1134 SewingClub. We pledged to sew 1 hour for every garment worker killed in the disaster. And today, on Fashion Revolution Day, I’m pleased to say we did it, we sewed 1,377 hours. Flora made and mended her childrens clothes and some beautiful gifts for friends, Pip and Meg patiently sewed quilts using scraps of fabric, Julia was inspired to start upcycling some favourite pieces of her Mum’s, Katy picked up the trends with her denim shirt and upcycled sparkly sweatshirt. Even Lesley (who has convinced herself she’s a non-sewer) managed a button or two and I’m still waiting to see the upcycled beanbag! And Nicky finally finished her bunting, taking a bit of time out to have a baby. The serious point about all this is that through making something, we can gain an appreciation of the time and skill required. And once you have that appreciation fast, cheap fashion just doesn’t make sense. Try making a shirt; note how many hours it takes, buy sustainably and ethically produced cotton and calculate the cost of resources …. so just how can big brands sell them for less than £5.00??? The reality is that to keep prices this low for us, costs are being keep low somewhere else in the supply chain. Garment workers overseas are working in unsafe conditions without employment protection. Fashion Revolution have found that only 12% of brands were able to demonstrate action towards fair pay and 60% of garment workers are working without a contract in parts of China. That means no protection for illness or maternity, working hours or discrimination. Some time ago, I heard about the Garment Worker Diaries. It is yearlong research project, led by Microfinance Opportunities in collaboration with Fashion Revolution. Researchers are gathering firsthand accounts of life as a garment worker from 540 women in Bangladesh, Cambodia and India. They are collecting data on the women’s earnings and outgoings, and how they manage their money as well as information about working conditions, health and welfare. It’s humbling to read these accounts in the knowledge of how our fashion industry operates. I think many people are unaware of the realities of fast fashion and the real power to change lies with the brands but awareness is growing. Fashion Revolution doesn’t ask us to turn away from fashion and walk around in sack cloth, they urge us to ask brands and policy makers about making the industry more transparent and fair. 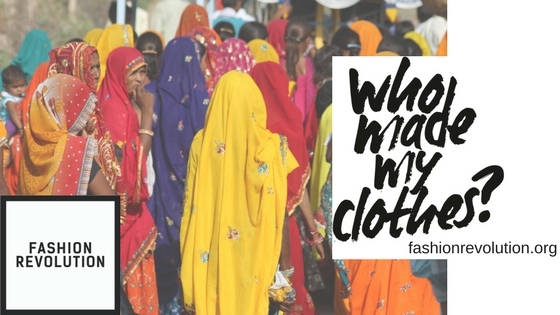 Last year 70,000 people asked brands #whomademyclothes by taking a selfie with the label showing and tagging the brand on social media. 1,000 brands in total responded, 372 of them mainstream like Fat Face, Boden and American Apparel. So, if you feel inspired to join the Revolution, check out their website www.fashionrevolution.org. There’s a fanzine available which explores the money and power distribution across fashion supply chains … what does happen to your money when you buy clothes? And what can you do about it? … there are loads of ideas, below is a checklist with a few. Its fashion revolution week next week. Monday is the anniversary of the Rana Plaza factory collapse where over 1,000 people were killed and 2,500 injured, whilst making clothes for the Western market. People continue to work in unsafe conditions without employment protection and practices in the fashion industry are draining natural resources and dumping harmful waste products into our environment. 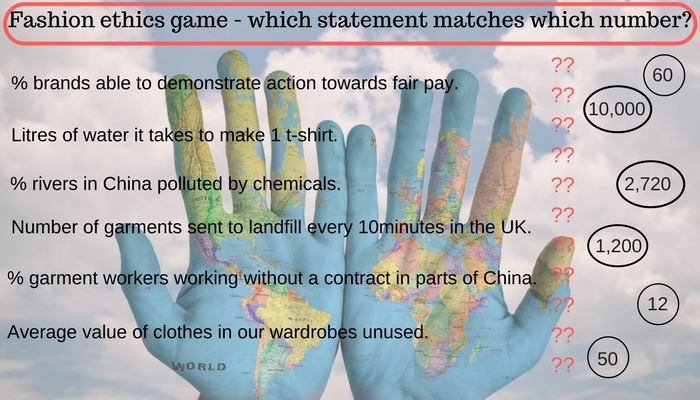 At a couple of recent events, I invited people to play the fashion ethics game where I gave them some statements about the fashion industry and they had to match the numbers to the correct statements. It’s fair to say that they were shocked by the magnitude of the numbers, both large and small! 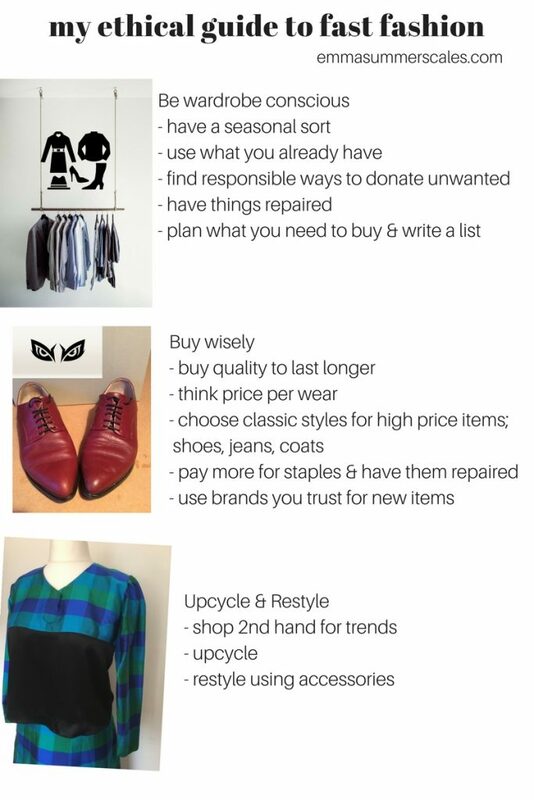 I thought I would post the game for Fashion Revolution Week, some food for thought, hoping to inspire people to make a few changes to the way they buy clothes, look after them and what to do when you no longer want them. The information comes from two websites Waste and Resources Action Programme, www.wrap.org and Fashion Revolution, www.fashionrevolution.org. So you can have a look for the answers yourself. I’ll also post the answers later on in the week. I’ll also be posting some ideas on how you might take a more ethical approach to your wardrobe. 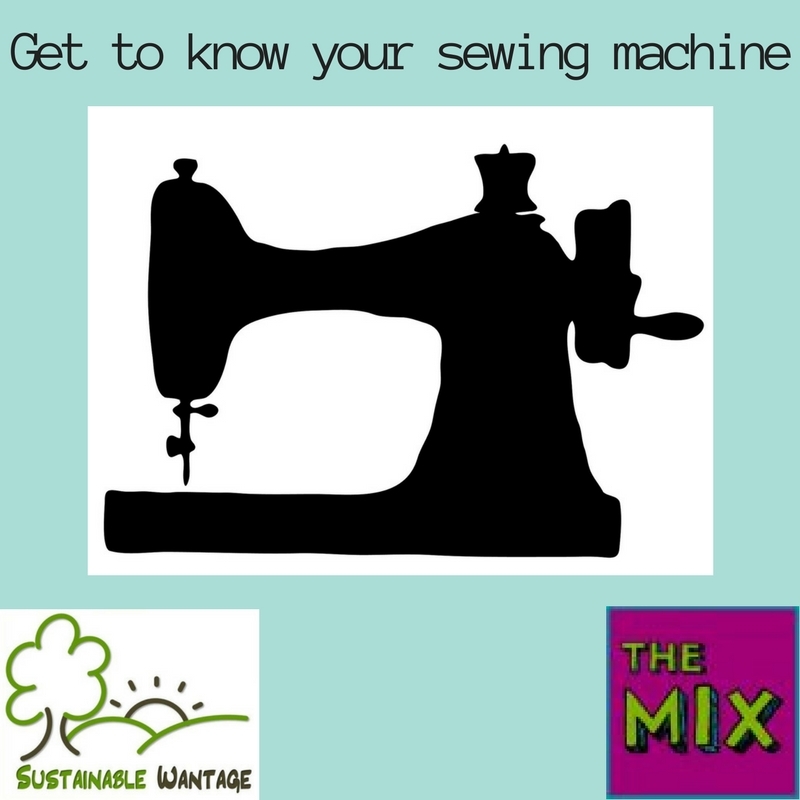 This course is designed to help you really get to know your own sewing machine, so that you can go away and confidently sew at home as well as sort any problems you might have. Starting level is established by a brief questionnaire and everyone works at their own pace; supported through a series of tasks, using their manual , handouts and samples. This allows beginners to take their time to explore and practice, whilst those more experienced can progress onto some mini-projects. Nothing like colour blocking to update and give an outfit some edge. I couldn’t find a place for the collar without overcomplicating the outfit, so I’ve saved that for another upcycle. By taking off the collar, I was able to expose the lovely v-neck placket detail and those sleeves! On Monday, I went to a screening of the documentary film Embrace, featuring Taryn Brumfitt who, in 2013, following her own battle with her body image, posted a before and after photo of herself with a difference and caused a media storm. In the film, she explores the issue of how women feel about their bodies; the media and fashion industry; and meets various women with unique appearances. Her Body Image Movement has gathered pace and women all over the world are being inspired by her. The film is thought provoking; the photo was a brave thing to do and raised the profile of the discussion. I can’t help thinking, however, that we’ve been having this conversation for a long time now and there are a few places I’d like the discussion to move on to. I don’t believe that this is a womens’ issue, I don’t really understand why it has to be a gender issue at all. I bet there are as many men as there are women with body image issues; I’m tired of being positioned as the victim. The media promotes the same unrealistic body types for men as it does for women. And there are many people who would not categorise themselves as women or men, dealing with stereotypes promoted. 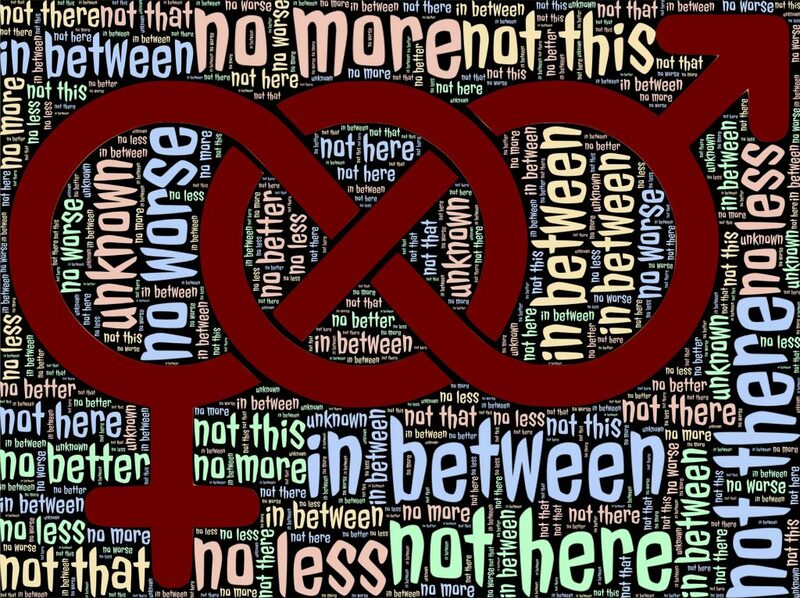 There has been an opening of the gender closet in recent years and it has felt like a good shift in gender equality. But whilst we are still in our she-camp, talking about this, I can’t help feeling we’re missing something. The film also focussed on women who felt too fat …. everyone interviewed wanted to be thinner, there was a big focus on the fashion industry’s promotion of thin women and interviews with a plus-sized model (don’t get me started on that particular label!). I accept that this is probably the largest group affected, but my tall, slim friend sat next to me felt marginalised by the overweight gang and the overuse of the word skinny. She constantly faces comments that she finds hurtful, whilst we assume she’s happy with her body because she is what the media tells us is the ideal body shape. I think what Taryn has done is amazing, my point is that this is not an issue just for women or men or transgender, fat people or thin people, tall or short …. we are human and for some reason we have a propensity to want what we haven’t got. Advertisers tap into this in every way possible to sell us stuff. This is an issue about the culture in which we are immersed, a media image issue, a commercial world issue and it affects us all. After the film, I had a de-brief with a couple of smart, strong minded friends. One said, she wanted her son to see the film. I’m not so sure? Rather than a film about victims, I want my children to see the next version which includes all genders feeling happy about their bodies. But I do want my sons to see it just as much as I want my daughter to. So how do we do it? How do we teach our kids to value themselves when we find it so difficult ourselves? How do we stop falling victim to what the media tell us. I think we have a long way to go before we truly embrace our differences, understand what it is to walk in some one else’s shoes and stop making assumptions about others based on our own desires and insecurities. I truly hope Taryn is the start of real change and her next film is the one I take my children to. A quote from Monday’s screening might be a start …. Despite a huge decline in magazine sales, there seems no real change in the media or by designers to want to change they way they advertise clothes. So perhaps we humans have to come together and do it for ourselves, show the next generation what beauty is by just being it, accepting our wonderful bodies they way the look and celebrating our different shapes. Finding our happy place with our bodies is easier said than done but I’ve started. 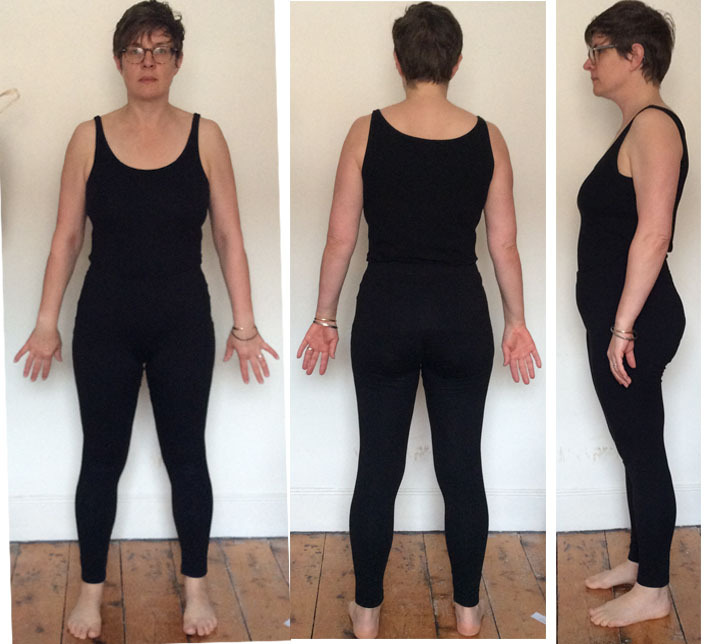 A little while back, I took a long, hard look at mine in a post entitled “Body shape: Me”. I also explored the crazy fashion industry to try and put my ideals in some context and shift them to a more realistic, happy place in “Fashion: we are all different shapes.” Good luck, everyone. (This is a bit of a catchup post, as I did this one last summer and just realised I hadn’t posted it – apologies for the terrible photos.) 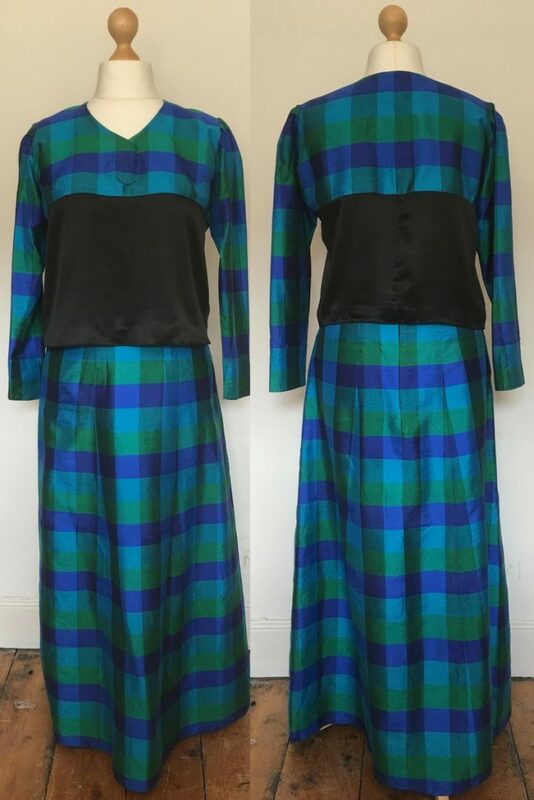 It was my Mums housecoat .. I’ve always loved the design at the bottom and the unusual criss-cross. 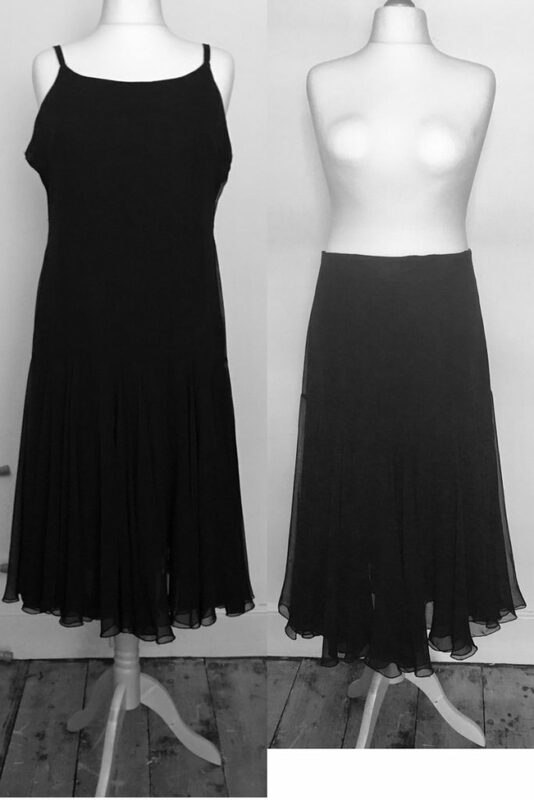 I cut the top and bottom apart, removed the zip and turned the skirt around. Put a smaller zip in the back and added the black waistband from some fabric I had at home. 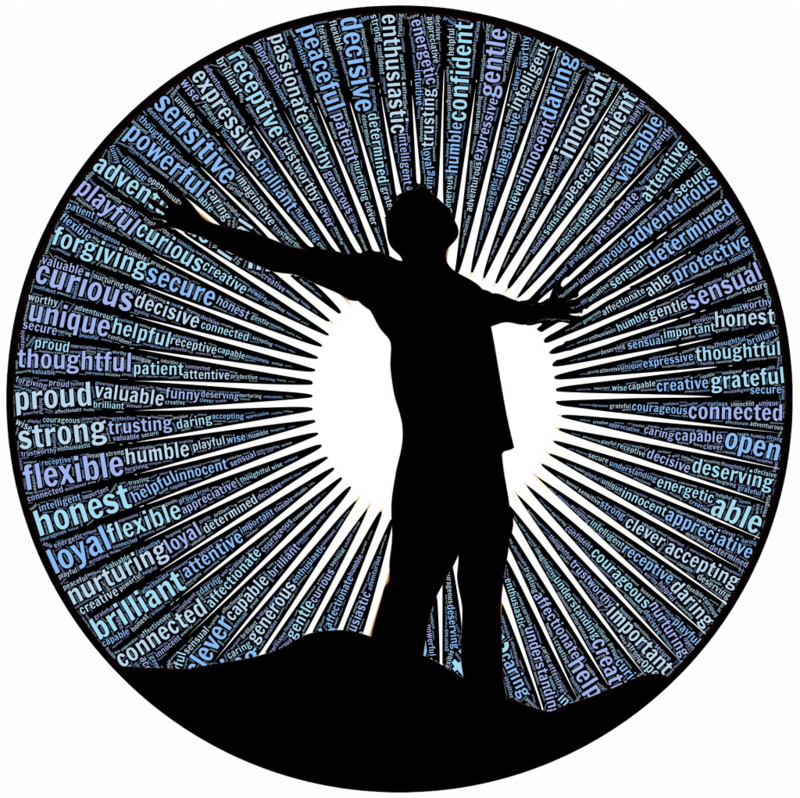 Talk to me in social media! Subscribe to receive my new posts to your inbox!